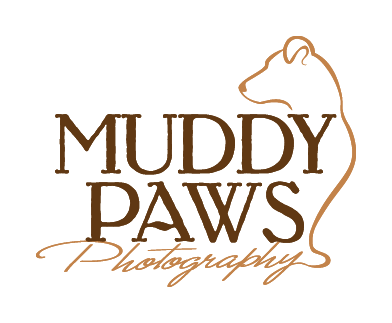 Here at Muddy Paws Pet Photography, I focus on providing you with a beautiful piece of framed art or canvas featuring your furry best friend. Your dog's pictures are enhanced so that they have a beautiful soft painted look, perfect for displaying on the walls of your home as fine art. Signature Art pieces are my main product. You can have your dog's photos printed as a framed wall print or as a gallery-wrapped canvas. Signature Art pieces start at $300. Digital files are available for purchase and are 50% off with the purchase of a Signature Art piece. The digital file includes the color and b&w versions of the image. Small mounted archival prints (5x7 and 8x10) are available for purchase and are 50% off with the purchase of a Signature Art piece. Most clients budget at least $500 for their order. For detailed pricing please Contact Me. Your dog is saying that he is soooo worth it. Take a peek to see how he will look displayed in a room. Ready to see more adorable furry faces? Check out my online gallery! Are you thinking that artwork of your furry best friend is worth hanging on your wall for a long, long time? I think so too. Contact me here.